Oakland based singer-songwriter Nedelle Torrisi, who performs under only her first name, recently released her debut album, Republic of Two, on the Massachusetts indie label, Kimchee Records. Instantly Kimchee's owners, Andy Hong and Bob Dubrow, friends of Nedelle's producer and engineer John Baccigaluppi (also of famed technical magazine TapeOp), fell in love with Nedelle's beautiful, sultry jazz-tingled, blues-influenced pop sound. However, with the market in a sad state of affairs, they were hesitant to put it out. Discussing it over a few months, they eventually decided that their love of music, and of Nedelle's moving songs, was more important than fitting into any niche or releasing a record marketable to an indie-rock crowd. That's not to say Nedelle wasn't marketable at all, as Norah Jones, a singer with a slightly similar sound, recently took home a massive amount of Grammies and has sold in excess to eight million copies of her latest album. But, for a small indie label, they didn't think they could help Nedelle to their crowd. Throwing caution to the wind, they decided, along with Nedelle, to just go for it. 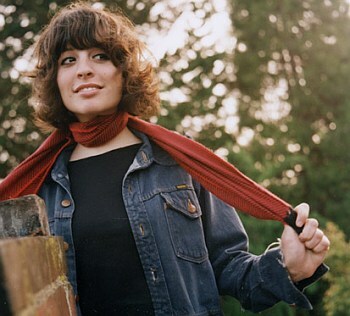 "I'm not full-fledged indie rock," Nedelle admits. "Labels don't know what to do with me. I often ask myself what I'm doing in this indie rock world when I'm not indie rock. But, on the flip side, I don't want to be commercial. I'd love to stay indie and carve out a niche for myself in the indie world." Nedelle has confidence in her songs and songwriting abilities now that Republic of Two has been released, and is sincere in her rejection of any thoughts about commercial success. "I'm not interested at all in commercial success. I didn't even know of Norah Jones when I started making this record. Then someone played her for me and I thought, at times, that it was along the same lines of what I was doing." Though her confidence is helping her steer her career and focus on the slow-building, word-of-mouth pipeline of the indie underground, there were times during the making of Republic of Two that she wasn't so confident and didn't think she could make it. "I had a lot of self-doubt going into this record," she confesses. "I would tell myself that a song should be faster or it should be slower, or that my piano playing sucked." The songs on Republic of Two were the first songs she'd ever written, and it was also the first time she had ever been in a recording studio. Coupled with her health problems that fell on her only a short while ago, a condition that leaves her bones sore and tender, unable to play guitar or piano for long periods of time, Republic of Two wasn't supposed to turn out the way it did. Or rather, it shouldn't have, by all measures, turned out as well as it did. However, the final result, with a lot of help from Baccigaluppi, was a mesmerizing, stunning collection of songs that leave the listener in awe, with the thought that this is Nedelle's first time out seeming more like a far fetched joke than a fact. "I wasn't nervous about the songs or my performance, but I was nervous about my health," Nedelle informs me. "I had to record the record in increments because of my health. I couldn't do it all at once, I had to do it a day here and then a day there." The record's spread out recording helped everything gel, the funk and the blues molding with the jazz, and the pop with it all. However, Nedelle agrees the general flow of the record has a nice cohesive feel to it, but also hears a few differences, mainly between the piano- and guitar-based songs. "There has to be some cohesiveness when you write all the songs," she tells me. "But, I didn't know what I was doing. I just sat down at a piano or with a guitar and wrote songs. They were the first songs I'd recorded. I think there is a difference between the songs I wrote on the piano and songs I wrote on the guitar, but for the most part would agree with you, it's pretty cohesive, especially for my debut". 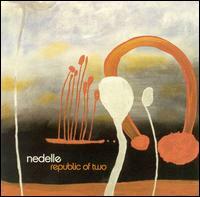 A fan of short songs, whereas other jazz-flavored artists ramble on, Nedelle is quick and to the point with Republic of Two, the album's eleven songs clocking in at under twenty-two minutes. "I don't enjoy the repetition of normal pop," Nedelle replies. "So I decided to write short songs for the album. We recorded fourteen songs and took away three songs because I wasn't happy with the recordings. But, I think the eleven on the album, even though they're all short songs [averaging under two minutes each], makes a good album". Nedelle, who is still enrolled in school, just completed her first West Coast tour and hopes to do another West Coast tour next Christmas break, before embarking on a U.S. tour next summer. Ending the interview, Nedelle thanks me for calling her up, informing me that she's "grateful for everything" she gets. "I get excited when journalists want to interview me, or when people come to the shows. I feel really fortunate." Humble and talented, Nedelle's future in music seems only a stone throw away.